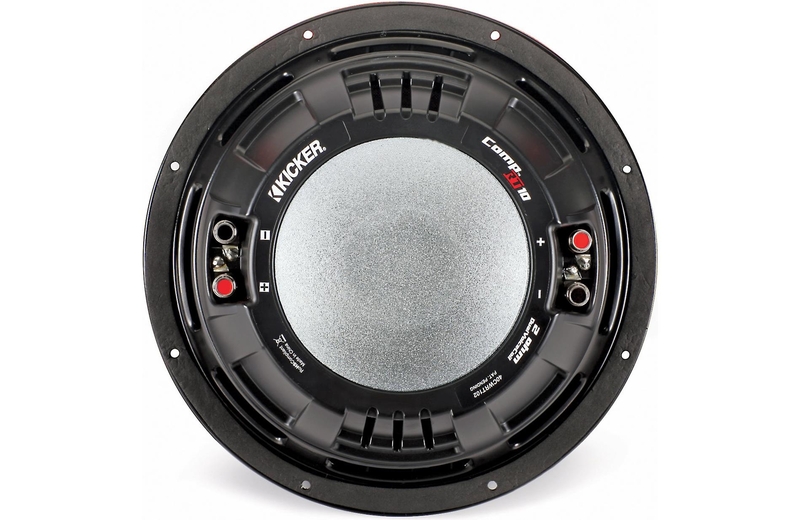 If you're looking for bass for a tight space, Kicker designed their CompRT subs with compact cars, pickup trucks, and even motorcycles in mind. 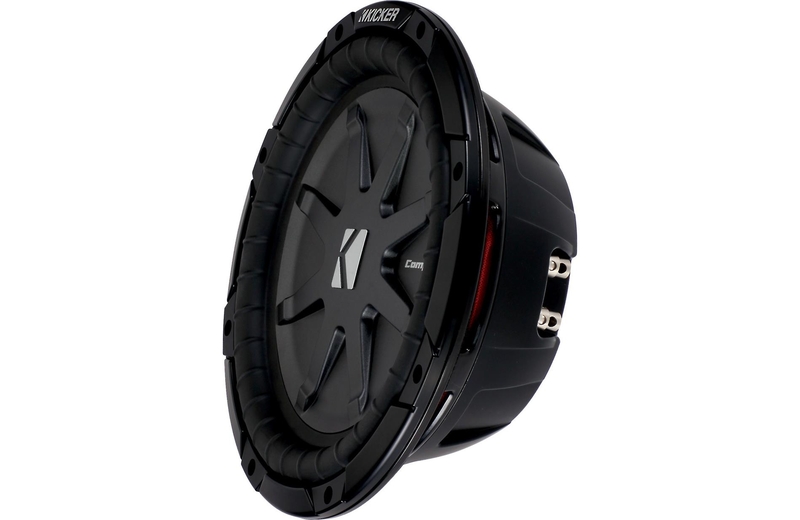 The low-profile 40CWRT102 10” subwoofer performs just like a full-size sub, but without killing all your cargo space. 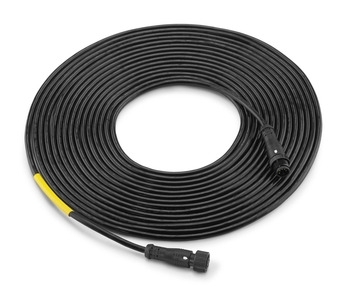 This high-performance CompRT sub stands less than 3-1/2" tall, so your installation options are wide open. This sub clocks in at less than 3-1/2" deep. The 40CWRT102 comes equipped with a rigid injection-molded polypropylene cone that won't flex and cause distortion while you're cranking the bass. 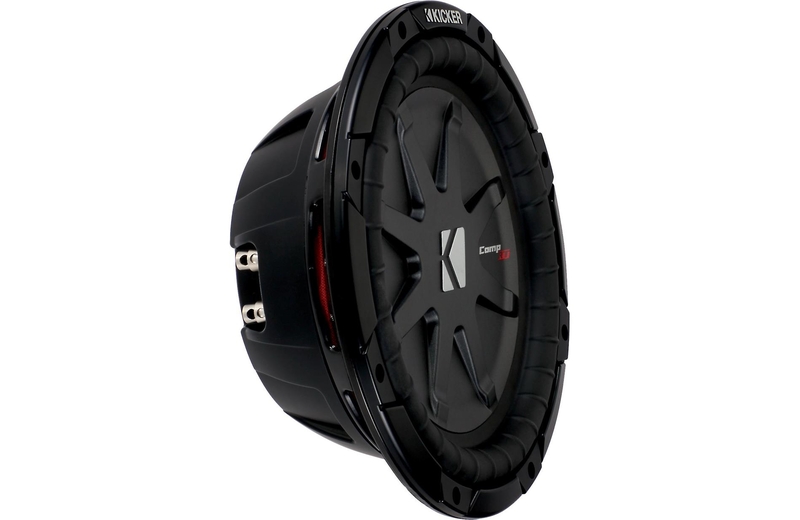 Its rubber surround will last through years of heavy use, combining with a special-design back and top plate to give you more excursion (which equals more bass) than other skinny subs. 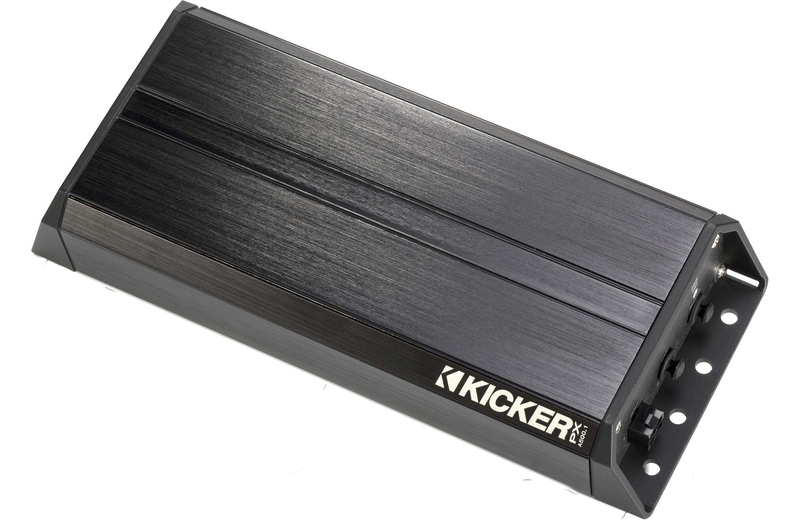 This sub handles up to 400 watts RMS so make sure you've got a solid amp to power it. 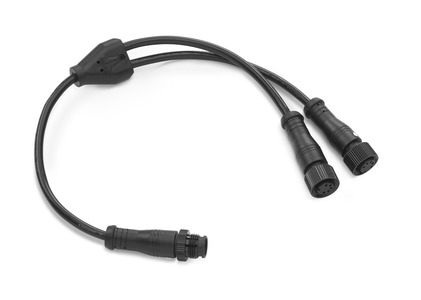 You can wire the dual voice coils for either 4- or 1-ohm total impedance, giving you more wiring options when setting up your system. 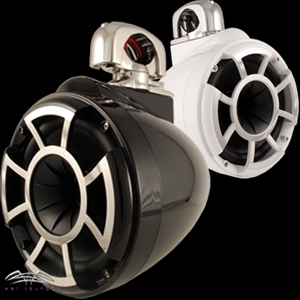 This versatile sub sounds great in sealed or ported enclosures. Important Note: If you are wiring this DVC sub for low impedance, make sure that your amp is compatible. You can damage or destroy your amp by exceeding recommended minimum impedance. 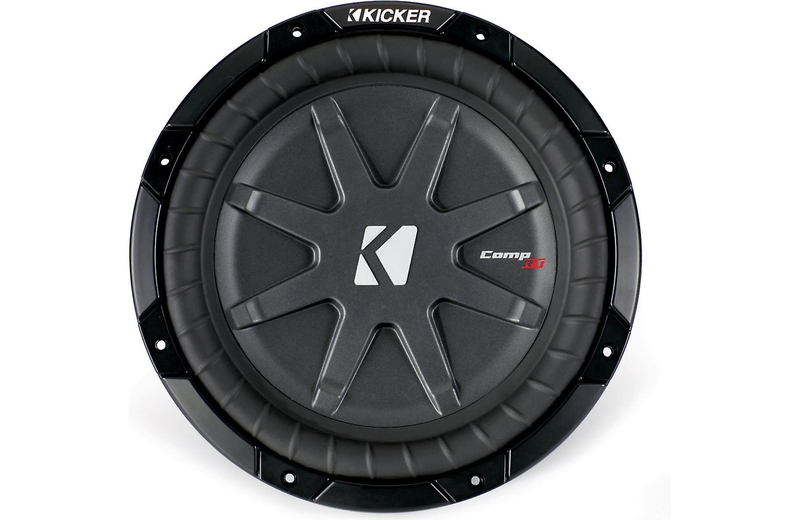 To drive this single subwoofer, we recommend a mono amplifier rated between 300 and 600 watts RMS at 4 ohms. 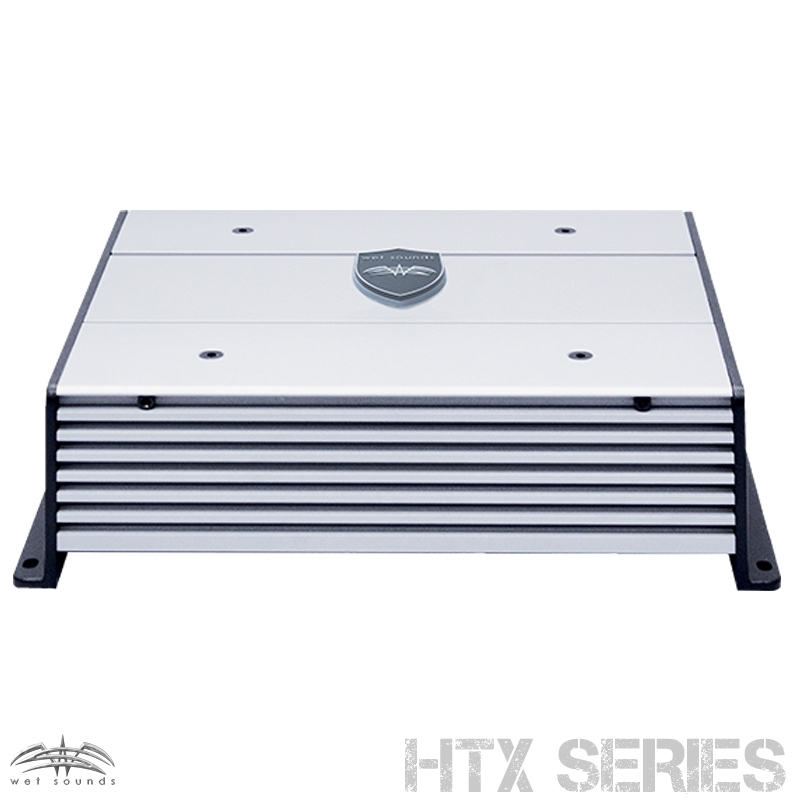 sealed box volume: .40 - 2.0 cu. ft.
ported box volume: 1.25 - 1.75 cu. ft.